If you ask us the #LocallyRecommended place to visit in Lagos, Nigeria and you said it had to be affordable, fun, possess local history, be romantic, and have good scenery. with added security, private, dance performances, live music, soccer watching. Freedom Park will be the answer. Freedom park can be said to be in tune with the Rhythm of Lagos. It is a good place to visit and you will feel the vibe and heartbeat of Lagos. Freedom Park will transport you to what life was like in Nigeria in the past through theater and drama events, old school live bands, prison setting and on a different day entertain you with where Nigeria is going in the nearest future (dance troupes, workshops and courses, film festivals, ballet, Felabration, art gallery). It also has an amphitheater where you watch plays like a Greek, friends around you and hearty laughters in the air. Freedom Park is located in the heart of the Lagos Central District. There are four entrances to this place but the public uses three at the moment. There are several food courts (including one strictly for vegetarians) and it has two bars and a Lounge. An asun vendor is also on ground. 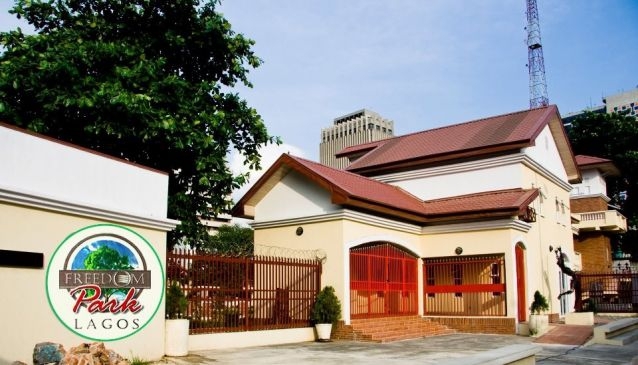 You should visit the museum, resource center, open air stage, amphitheater, Wole Soyinka gallery, and the souvenir shops before settling down to treat yourself to some good food.